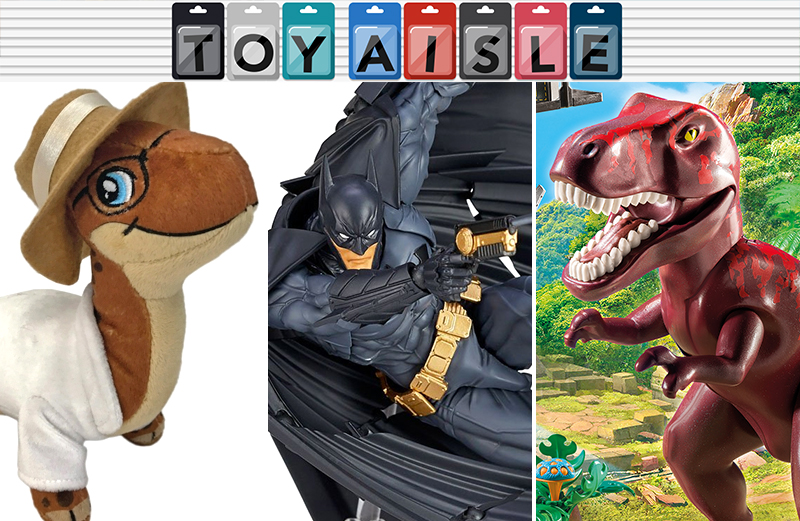 Welcome back to Toy Aisle, our weekly round up of the best toys we've seen all week. This time we have a bumper bunch of Jurassic Park merchandise (and some Jurassic-adjacent attempts too), rocking toys that boldly go, and perhaps the world's most absurdly articulated action figure cape ever seen. Check them out! If articulation, and being able to perfectly pose your figures, is your number one priority when buying toys, you should be stocking your shelves and display cases with everything to come out of Kaiyodo's Revoltech line. Its first foray into the DC universe is this wonderful 18cm-tall Batman that comes with swappable faces, grappling guns with and without wires, and batarangs. But the best feature is undoubtedly Bruce's incredibly articulated cape that can be posed to match the figure's dynamic movements. Do you think Playmobil perfectly timed its new sets in the Explorers series to come out at the same time as a Jurassic World sequel and Jurassic Park's anniversary? Naw, surely it's nothing more than a fortuitous coincidence. The six different sets range in price from just $US11 ($15) for an intrepid adventurer chasing a velociraptor on a motorbike, to $US60 ($80) for an elaborate hidden temple set that's terrorised by a hungry T-rex. 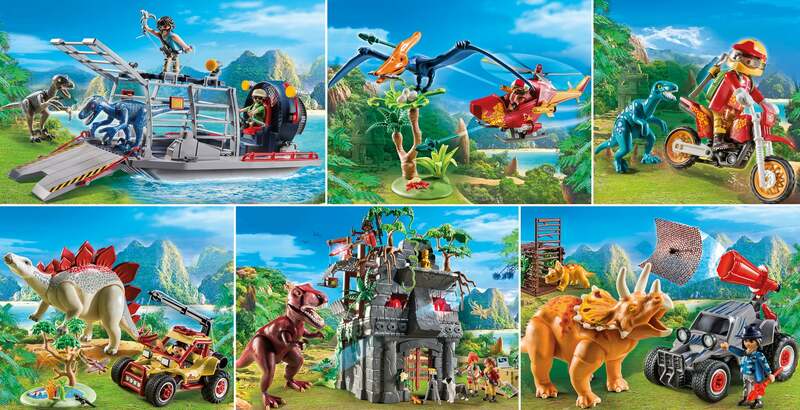 Dinosaurs such as stegosaurus, pterodactyls and a triceratops are also included in the various sets across the new line, as well as Playmobil figures trying to both rescue and capture the creatures. There are more novelty bookends out there to buy than actual books in the Library of Congress, but Hallmark is selling the only one you need to drop $US20 ($27) on (plus the cost of a mail forwarding service). 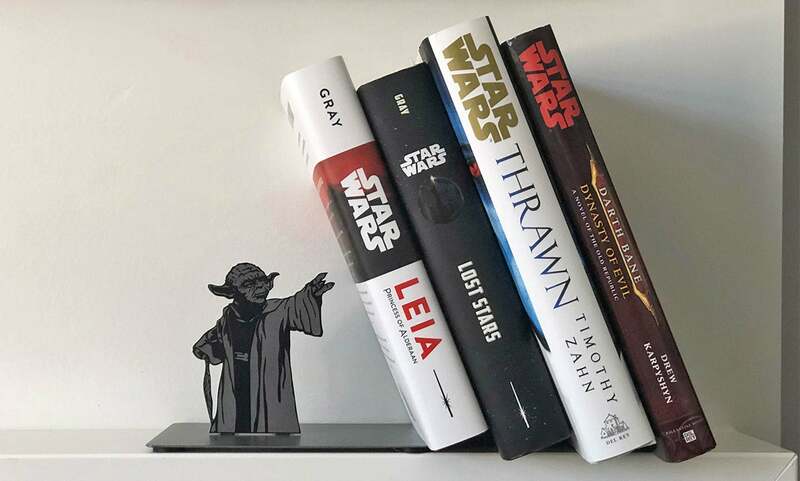 It features a tiny version of Jedi Master Yoda using nothing but the Force to prop up a stack of books on the verge of falling over. Well, nothing but the Force and a hidden metal support you tuck under the back cover of the book on the end. You can hate the groaner of a pun that is "Clawzplay" all you want, but if you're a longtime Jurassic Park fan, you're morally obligated to pick up Factory Entertainment's new line of plush dinos. They're all based on prehistoric creatures that appeared in the original film, and each one comes dressed up like Jurassic Park's most memorable characters, including a John Hammond brontosaurus, an Ellie Sattler triceratops, an Alan Grant velociraptor, and an Ian Malcolm T-rex. They ship this winter, but are only available in a $US55 ($73) four-pack; it's all or nothing. Even better than another Jurassic World movie hitting theatres this winter is the fact that 2018 marks the 25th anniversary of the original Jurassic Park, bringing new merchandise with it. Ravensburger's $US25 ($33) Jurassic Park Danger! 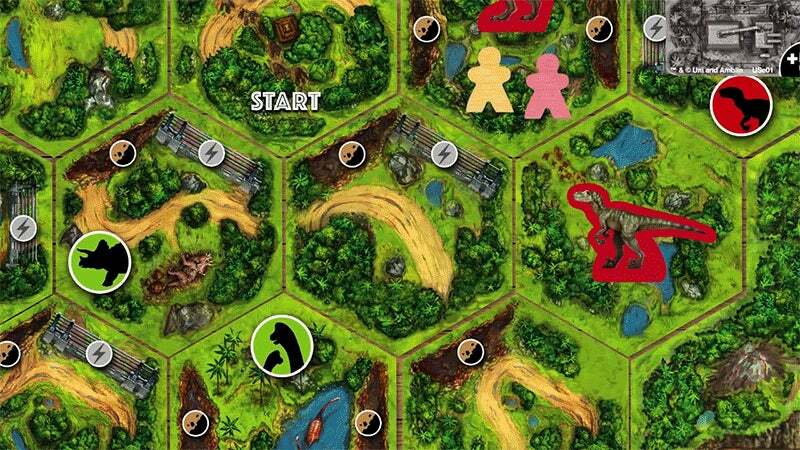 board game looks a bit like Settlers of Catan with its Isla Nublar game board filled with hexagonal regions of the park, but it plays much differently. Up to four players can use their favourite characters to try to get Jurassic Park back online and escape the island, while another player controls a T-rex, velociraptor and dilophosaurus attempting to hunt them down and eliminate their chances of appearing in a sequel. Unfortunately you'll have to use a mail forwarding service if you want your hands on it, as Ravensburger doesn't ship to Australia. 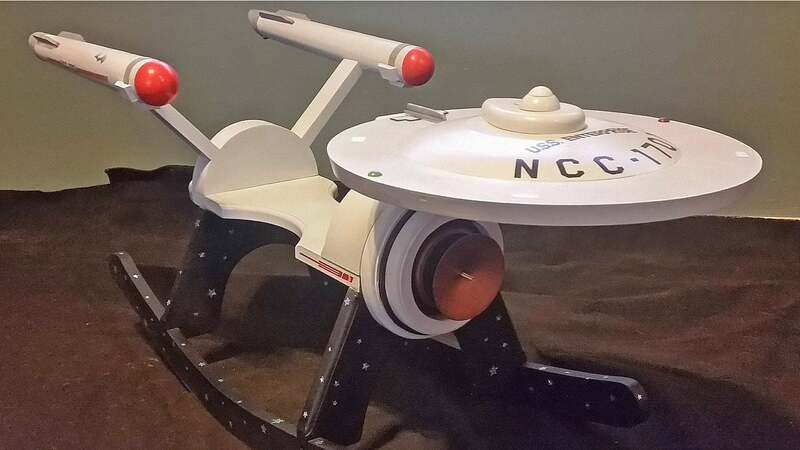 Sure, being able to legally drive is fun, but we'd almost rather be young enough to hop aboard this beautiful wooden Star Trek USS Enterprise rocking toy made by Etsy's GandGRockers. At $377 it isn't cheap, but you can request specific customisations because each one is made to order. Can you think of a better way to put your toddler on the path to Star Trek fandom without sticking them in a pointy-eared Spock-themed onesie? The paperless office is still nowhere in sight, but we haven't jotted something down on paper in years. So how does Moleskine, makers of fancy paper notebooks, stay in business? By aiming directly for the part of our brains that makes spending decisions based solely on nostalgia. 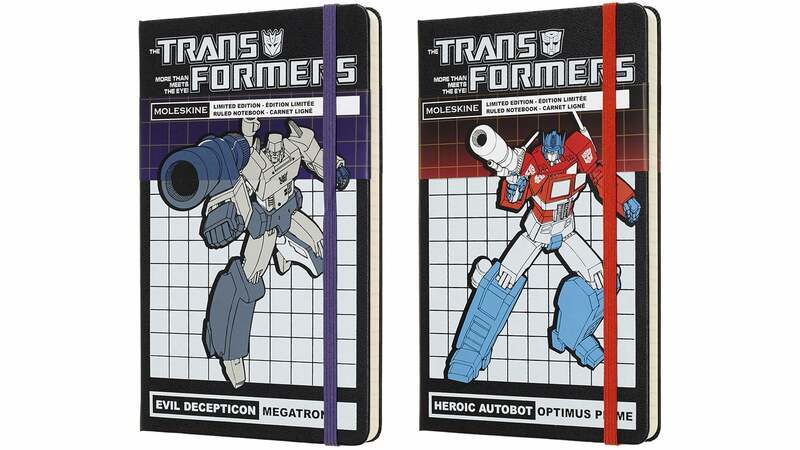 Will we ever actually write a single word in these $US25 ($33) Transformers Moleskines featuring the '80s versions of Megatron or Optimus Prime on the cover? Probably not, but we still want each of them buried somewhere on our desks just in case. These notebooks aren't yet on the Australian Moleskine site, so you'd better contact your mail forwarder once again.